Australian Defence Magazine (ADM) has released their rankings of the Top Contractors to the Australian Defence Force. The ADM ranking lists the top Contractors to the Australian and New Zealand Defence Forces. In the Top 20 SME ranking for 2017, EPE is 17th among SMEs (Small to Medium Enterprises). 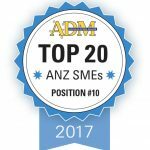 In the Top 20 ANZ SME ranking (which includes only Australian and New Zealand owned suppliers) EPE is ranked 10th. 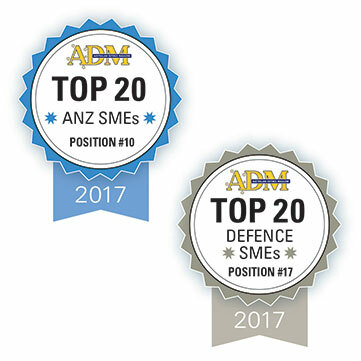 Our consistently rising position in this ranking since 2011, demonstrates EPE’s solid commitment to providing solutions to the Australian and New Zealand Defence Forces that protect our soldiers. As an Australian owned and managed small business, our strength has always been our positioning to deliver world-leading solutions, supported by performance based contracting ILS and specialist training, while maintaining our unique ability to be agile and responsive to our customers requirements. 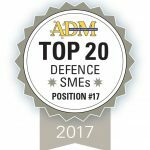 We thank ADM for their support of Australian businesses in the Defence sector.